. 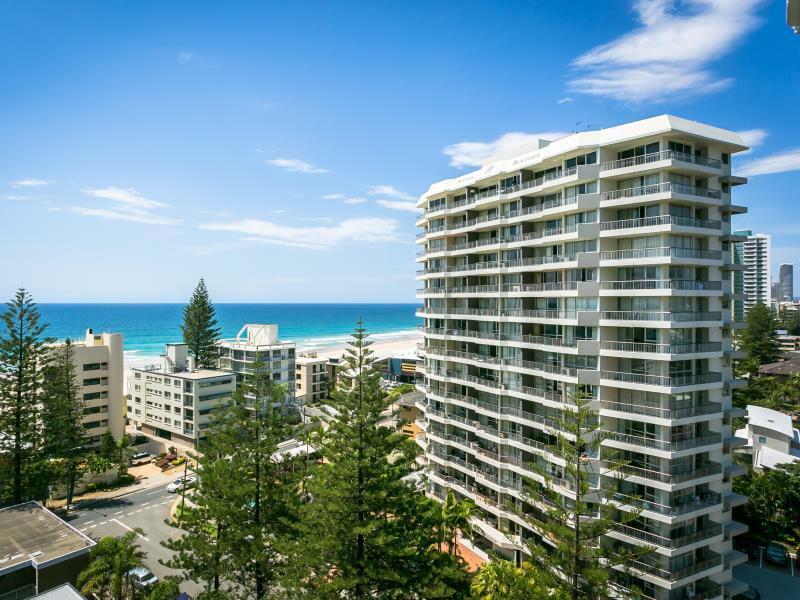 إن الخدمات التي يقدمها Surfers Beachside Holiday Apartments تضمن للنزلاء إقامة مريحة. يقدم الفندق خدمة سيارات الأجرة, خدمة حجز التذاكر, واي فاي مجاني في جميع الغرف, مرافق مخصصة لذوي الاحتياجات الخاصة, تخزين الأمتعة لضمان الراحة القصوى لضيوفه. في الفندق غرف نوم يتجاوز عددها 51، كلها مجهزة بعناية وجمال وبعضها مزود بـ تلفزيون بشاشة مسطحة, صوفا, غرف لغير المدخنين, مكيف هواء, تدفئة. إن حوض استحمام ساخن, ساونا, حمام سباحة خارجي, تدليك, مسبح (للأطفال) هو المكان الأمثل في الفندق للاسترخاء وتفريغ طاقتك بعد نهار طويل. مهما كانت أسبابك لزيارة جولد كوست، فإن Surfers Beachside Holiday Apartments هو الخيار الأفضل لإقامة مثيرة وممتعة. We checked in after office hours. Proper checked-in/checked-out information were given beforehand that makes it smooth. The apartment is huge and complete! One of the best apartment that I have stayed thus far. View from 1001 is spectacular. The tram station is 3 mins walk from the apartment. Highly recommended. Had a fabulous stay here! One bedroom ocean view apartment had everything we needed for a relaxing stay! 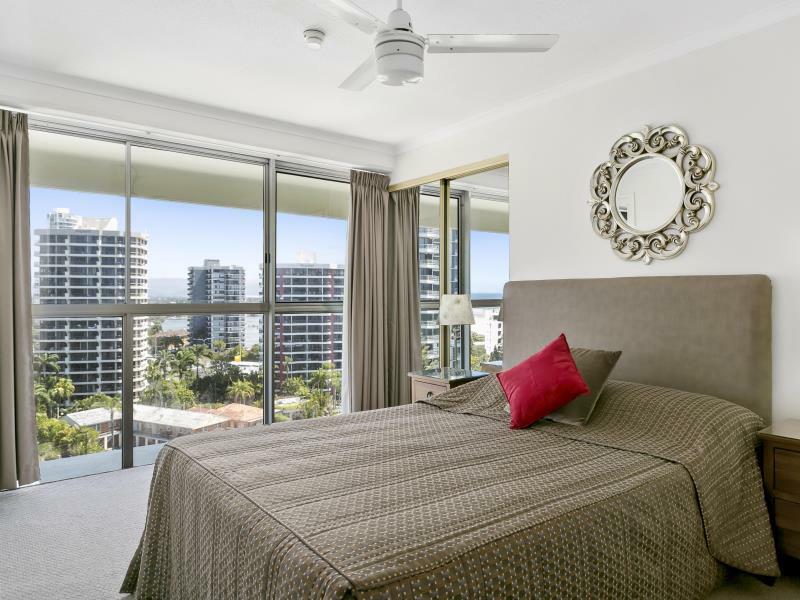 Close to Cavill Avenue but far enough to be away from the hustle and bustle! Room was clean and delivered a beautiful view of the ocean! If I had one fault it was that the carpet in bedroom may need replacing! It was so worn and felt sticky! I loved that the other areas were tiled! Will stay again! it was great location, and pretty comfortable apartment. beach and Q1 was walk able distance, views from the room was relaxing, my parents were visiting us from overseas and they loved it. My Honeymoon is at Gold Coast and Surfers Beachside is the 1 thing we will always remember. Great sunrise view, 5 mins walk to surfers beach and pubs and restaurants. It has its own kitchen and undercover carpark. this place makes our honeymoon great! Thank you guys so much Lynne and Mark! Great place to take the family. Highly recommend these apartments! Central to so many things and the complex itself had everything we required to keep us all happy and cool in these hot humid days and nights. Staff are so pleasant and helpful, very family orientated and welcoming. Great communication. Well located. Beach across the road, bus and light rail 2 minute walk. Apartments are clean, airy and have all you require for self catering. Had a very peaceful stay. Marcus and Lynne are friendly and helpful. 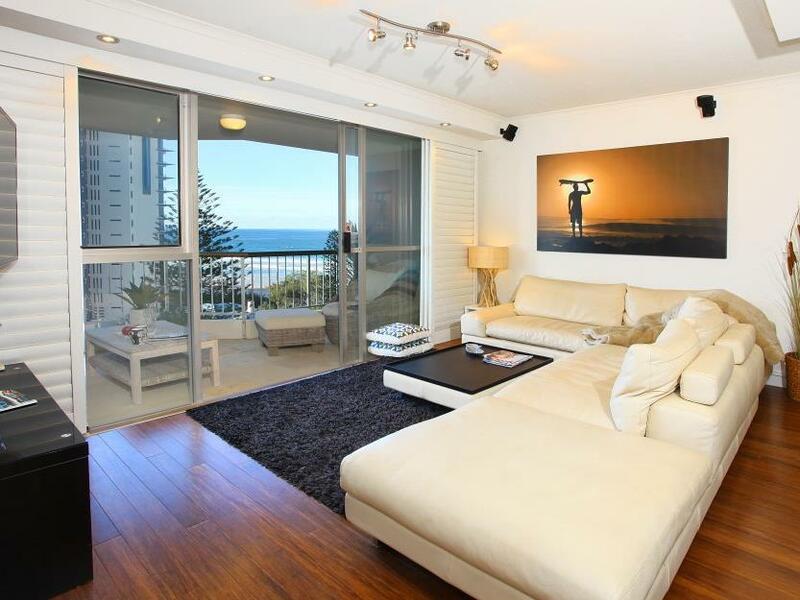 Convenient to public transport and close to the beach and the surf club, this place had views to dream of. A relaxed quiet apartment this made for an old fashioned beach holiday the way it was meant to be. The pool and tennis court provided activities when we needed them and the beach was just across the road. We could actually look out the window of the apartnent and check out the beach conditions. Shopping at Pacific fair or Cavil Avenue were just a tram stop or two away and we didn’t use our car once while we were there. Full kitchen and laundry for the price of a motel room with no facilities up the road. We will be regulars here now. This place is fine for family's & young couples etc. Its very basic but in a good location. The room was renovated and looked modern but its an old building that i found noisy and with no block out blinds in the bed room facing north was not great for sleeping when the sun came up by about 6 : 00 am every morning. Also there was no shampoo etc in the bathroom just 2 small squares of soap. Very basic no frills accommodation. Fine for most i guess but not for me as for a small amount extra you could stay in a much better property near by. I also think that the 10 am check out was far to early when you have an evening flight home. This place was not for me but fine for most i would think. Mark was very hospitable and any issues we had were resolved promptly. Lynne gave us an ocean view apartment. Good facilities in general. Recommend others to bring more of their own supplies of toiletries as they provided just 1 of each basic washing dish powder, washing clothes powder etc. Been here a fair few times now and will continue coming back. 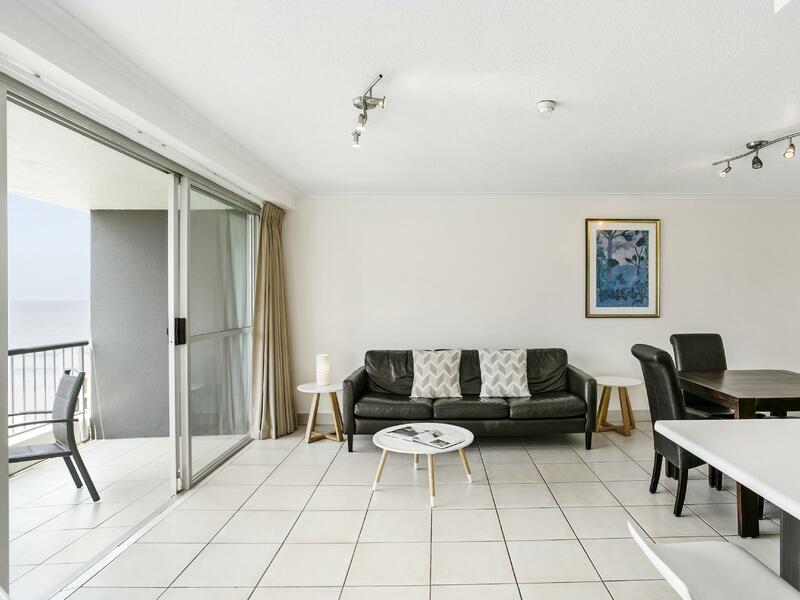 It’s in a perfect location just 30 metres from a fabulous beach, 10 minutes walk from surfers paradise and a 5 minute tram ride to the pacific fair shopping centre. Clean, spacious and well equipped apartments with friendly staff who make you feel welcome. Spacious apartment with a breath-taking view! Staffs were so friendly and helpful! Cleanliness can be improved esp the smell of the kitchen. Love the existence of dryer esp during rainy season.. otherwise everytg is great! Thank you fr the wonderful stay! Great location, close to public transport. Unit was extremely clean and well presented. Kitchen could have had a few more utensils like another set of tongs, microwave dishes, pots and pans, but overall pretty good. Probably would have appreciated being warned about the building maintenance and the fact we were not able to access the balcony between 7am & 7pm. Didn’t even mention upon checking in! In saying that, staff were friendly, helpful and extremely pleasant! The pool/bbq area is awesome! Do yourself a favour and check in!! Thanks gor a great couple if days! Great value for money. Wonderful sea views. Big and spacious apartment. We paid for a one bedroom and we were upgraded to a 2 bedroom which was lovely. Has everything you need in the apartment and close enough to shops like Pacific Fair and walking distance to the main centre. Highly recommend and would stay there again. Staff were lovely. So welcoming and helpful. Room was clean and nice. Water pressure was amazing. Pool side was chilled and nice. We would visit again. We loved pretty much everything. It was close to the beach, trams, & local shops. The apartment was spacious but a little worn. Everything was self contained like the kitchen & laundry. Beautiful big balcony with lovely views. Managers were very friendly & lovely people. We would stay again for sure. We really enjoyed our stay. Kitchen facilities all worked,bathroom was clean, clean bedrooms. Everyone we came across in the building was friendly, staff were courteous and helpful. The internet was not working at all but certainly didn't dampen the experience.